A local gaming PC’s builder has launched its series of compact office PCs with Aftershock Nano S. Read here the features……..
One of the top gaming system brands in Singapore, Aftershock has entered into mini PC market targeting at the professionals and workplace. The company has unveiled business mini PCs range with Nano S, which is compact in size and is equipped with latest Intel processor. 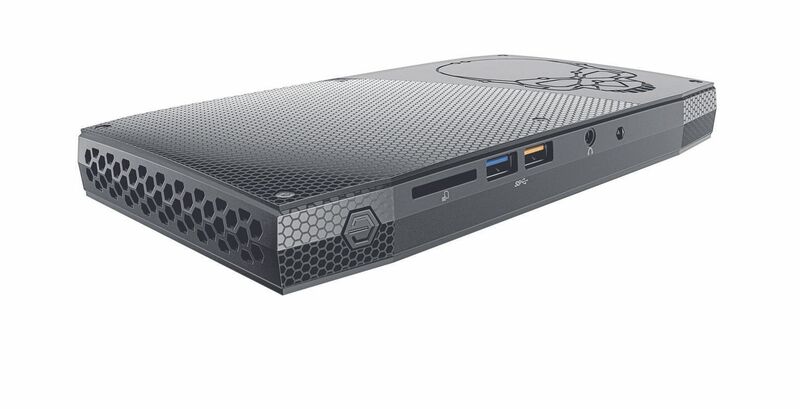 Starting from its design, Aftershock Nano-S closely resembles Intel’s Skull Canyon NUC that may be due to its partnership with Intel. And it has a big skull logo on the top of its bezel! Having dimensions of 211mmx116mmx28mm makes it nearly slim as laptop. It is powered and charged by an external power brick. According to the makers, Nano S is suitable for the professions like image, video editing, and relating work. However, there is space for gamers with the features like casual gaming and In-game streaming. ← Google Street View is Now Available for Your Apple Smartwatch!